Writing a manuscript is probably the easiest part of getting a book published. No seriously, slaving away for weeks, months, even years to develop a story is the no-brainer portion of publication. You can’t get published without a book. Getting a publisher and/or an agent is definitely not a picnic either. The fluctuations in the market can make a solid story suddenly uninteresting to even the kindest hearted agent or publisher. But let’s assume you’ve managed these first two steps toward traditional publishing. So it should be a simple matter of setting a date and waiting for the book, the glory and the money, right? At least that’s how it worked for me. The acquisition editor sent me a general acceptance notice for my book, and that’s when the real work (and waiting) started. I happened to be friends with my editor, Shawn, so she kept me informed along the entire path. Shawn let me know that, like all editors, she wasn’t sitting, waiting for my gloriously well-written and beautifully prosaic manuscript to come through the door. Instead, she had a queue of six to ten books at any given time, and, as the latest edition to that queue, I was at the end. No worries, I thought naively, I’m a fairly competent writer. There shouldn’t be more than a few logical concerns and maybe some typos for Shawn to correct.
. . . you aren't as good a writer as you think, Rob? At least that’s what I believed. After a few weeks, Shawn managed to turn my manuscript back around to me. Thinking about it now, with five or so other authors ahead of me, that was like record time (thanks Shawn!). Immediately, there were all kinds of technical problems. New terms suddenly became the bane of my existence. Dialogue tags were all wrong. 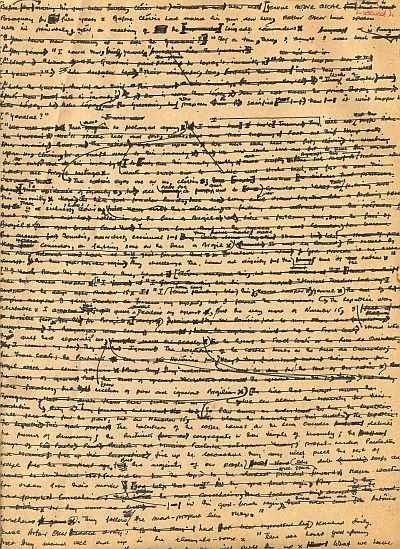 A list of filter words required review and revision of the entire 80,000 word novel. Some personal crutch words, “just” and “then”, had to be removed or replaced. There were issues with flow and point of view that I hadn’t even considered. I wanted to argue. I wanted to fight and rail and scream and yell and throw things. Well, not really. All of that requires effort and a proven track record that I don’t have. Instead, I talked with Shawn, at length. She helped walk me through all the various issues. If I needed more instruction, a different take on a technical issue, or Shawn wasn’t available, I conducted my own research. The internet is rife with blogs and articles on how to write. For the most part they’re informative and consistent. He knows the name of things. ready for publication. Shawn informed me the entire time that we were moving really fast, and I believe her. There are a couple of small typos and errors still in the manuscript that we missed and two different copy editors missed. This is actually true of any book, unless it’s been re-re-re-released and edited every time. I submitted my query letter in May, 2013. The book didn’t release until December. That’s seven months, after the completion and acceptance of my novel, until it was deemed ready for publication. And that’s just for the manuscript. None of this takes into consideration the other elements, such as various marketing efforts, the cover design, or base presence building that are required. So, when someone asks me when the next book will release, I have to keep in mind this best case scenario following the completion of the draft. Granted, some of the marketing elements are now in place and in play. But the rest, including the editing process, are reset. All this is to say that even if I had the manuscript written today (which I don't) the book still wouldn't release until early 2015. 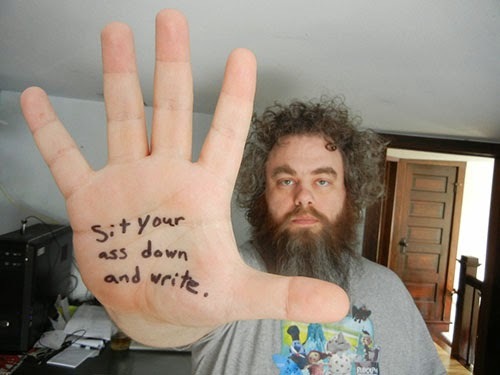 Patrick Rothfuss, you're forgiven. George R.R. Martin, you are not. Why words? Why not pages? Writers use word count because they’re a better measure of the actual length of a manuscript. Variations with margins, font style, line spacing, font size, etc., make comparison between any two almost impossible. For example, I have a friend who writes his first drafts in longhand. I, mostly due to my carpal tunnel, have to work mostly on an ergonomic keyboard. For every page of typed writing I do, he might hand write three or four. If you asked which of us was writing more, by page count, he would be. 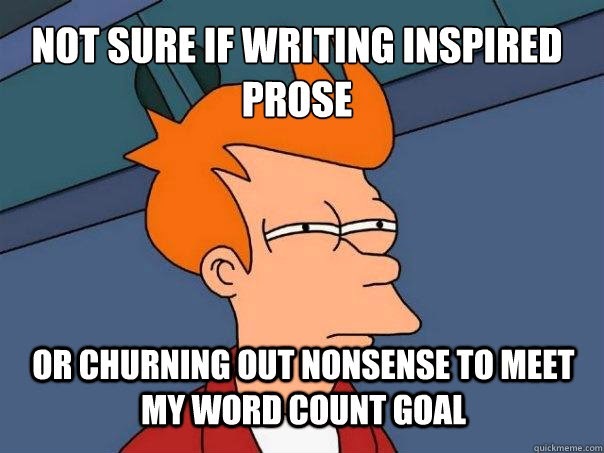 But by word count, we’re exactly the same. Publishers also prefer word count rather than page count for similar reasons. In addition to seeing if your work fits within their requirements, they're also calculating costs based on the length of the work, and the potential for a brick-and-mortar store to buy copies of the book and put them on the shelf. Of course, there are extremes on both ends of the spectrum. Stephen King can release a series of novellas averaging about 25,000 words, as he did with The Green Mile, and readers will snap them up like Scooby Snacks. At the other end, George R.R. Martin’s A Dance of Dragons is over 260,000 words. That’s nothing, of course, as any fantasy genre fanatic will tell you. J.R.R. 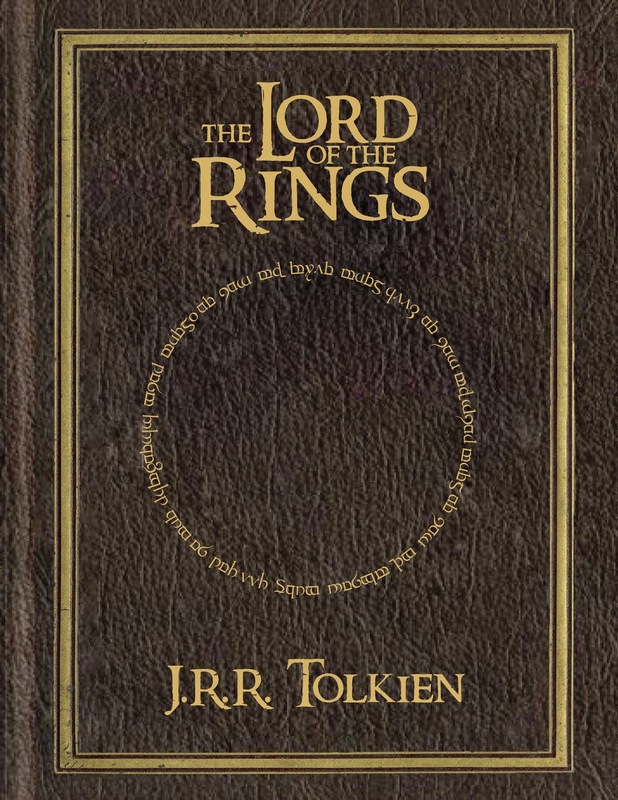 Tolkien’s The Lord of the Rings was intended to be one book, and clocks in at about 525,000 words when you include the appendices, which Tolkien intended to be read. The Bible at 725,000 words (depending on your version) doesn't even crack the top ten list of longest works ever. You can calculate (roughly) your own favorite author’s work by using the old rule of thumb of 250 words per page. This is only a rough calculation though, because it’s based on all things, margins, line spacing, font style, font size, etc. being the same. Still, it’s a decent measure for rough comparison. The point is, writing a first draft is incredibly simple—hit the word count requirement and you’re done. Now, actually editing and getting a book ready for publishing? Well, that will be tomorrow’s article. Send me an angel, right now! Everything was resolved in the book, right? The hero saved the day, got the girl and the villain was banished back to the nether-regions of Hell. What else is there to say? Oh, right. Immortal, gun-toting, half-angel hitman/woman for the Throne. They don’t just go away, do they? And no one gets out of this life alive. Except me. So far, so good! This angelpunk genre isn’t going to grow itself, so a sequel of what happens next to Del, Marrin and the rest is certainly in order. Except I’m incredibly short-sighted. First, I didn’t think anyone would publish the book (thank you WildChild Publishing). After publishing, I didn’t think anyone would read the book—except those obligated as family or friends. It stands to reason that six months after releasing Tears of Heaven, and marketing the literal and metaphoric hell out of it, I also wouldn’t have thought anyone would want a sequel. No, no. You were right the first time. I had no thoughts toward a second book. I was all about other projects, including samurai, short stories, an extravagant fantasy epic . . . until about two weeks ago. As I detailed out earlier this week, I managed to figure out a rough plot for the next Del book (gotta come up with a series name)—Hell Becomes Her. I don’t want to give away anything at this point, but your favorite, angry, angsty, sarcastic, three-gun wielding half-angel will be back with a fury. A great deal of fury. But, and here’s the thing, with only really a few days into the writing process (due to my body’s need to recover from that nasty virus I had), I’m only a few thousand words into what will be at least a 70,000 word novel. Then there’s the submissions, the revisions, the sobbing myself to sleep at night due to the stress. All that takes time. So time is all we need. Good things are afoot in the kingdom of R.A.
Two of my short stories “Into a Watery Grave” and “Grenadiers and Dragon’s Fire” have been accepted for publication later this year. The first one is my foray into the horror/fantasy genre, and was a real stretch for me. Not the fantasy side. That’s easy. 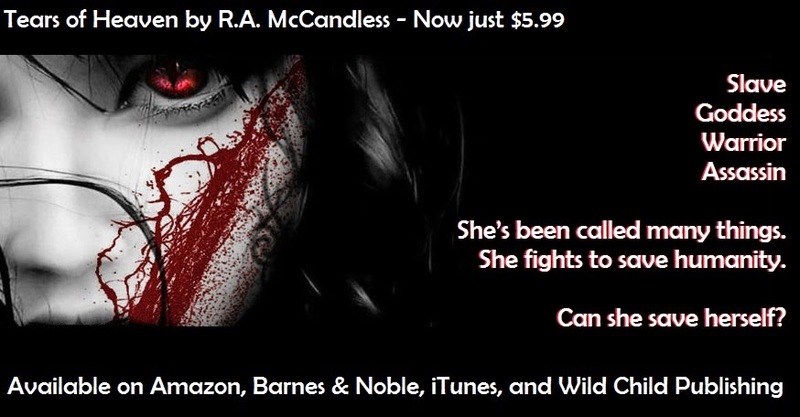 Horror is not a genre I enjoy reading, so I’ve never attempted to write it. I was invited by the publisher to submit, but I wasn’t certain if I could pull it off. “Into a Watery Grave” will be part of the In Shambles anthology which will feature a Dan Shamble story by Kevin J. Anderson. “Grenadiers and Dragon’s Fire”, which includes the same character, provided me with goodly amount of background and world building. It inspired me to start the wheels turning on a full steampunk novel centered around Aubrey Hartmann, Lieutenant, 4th Division of the Empress’ Imperial Army, retired. She’ll feature as the same constable as she does in “Into a Watery Grave” and right now the plan is for a series of books around her solving crimes in a pre-industrial village. 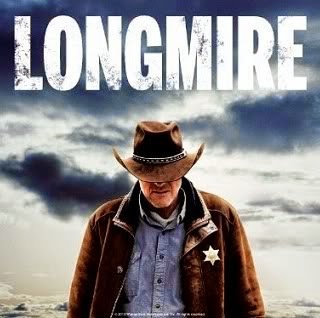 It’s like “Longmire”, except without Longmire. 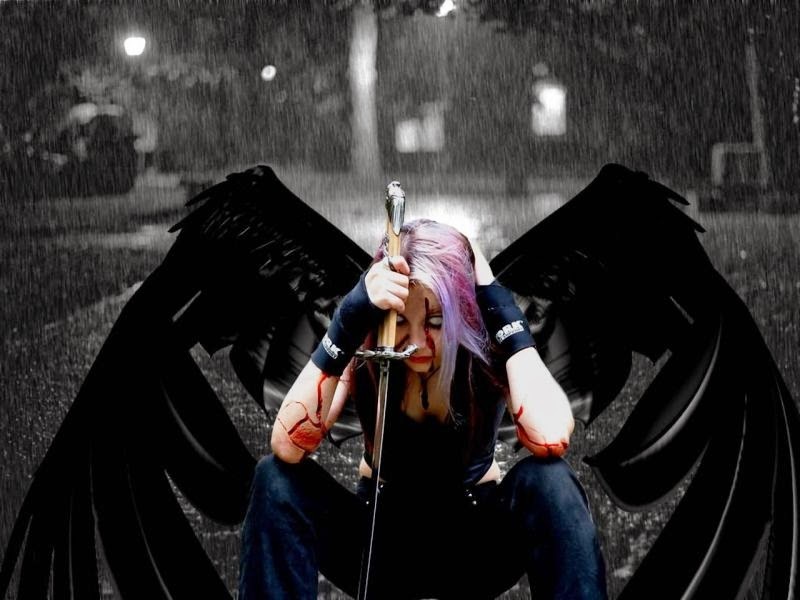 I also figured out the plot for a new Del/angelpunk story to follow up Tears of Heaven and the plot for a fantasy series I’ve been working on. It’s been awhile since I’ve had more projects moving forward than I could actually handle. It’s a little overwhelming, but it’s better than the alternative.